Collections can take years to create, sometimes even a lifetime. What will happen to your collection after you're gone? We outlined below a few possibilities of what collectors may choose to do with a collection and what may happen to the estate plan. Gifting your collection to heirs has many different outcomes. As a collector, you can gift your collection to your children, grandchildren or another heir—as outlined in a will. There are several scenarios that might come up related to accepting a gifted collection. The first scenario is that the heirs accept the gift but do not want to keep it. They may sell it at auction or through a dealer, splitting it up and taking the cash. The downfall of this is that the future whereabouts of the collection may become unknown. A second scenario that might occur is that the will is read and family members argue its contents. There have been situations in which an estate was deemed unfairly divided or that the deceased was declared not of sound mind when executing the will. Multiple marriages and divorces, widowers, ex-wives and ex-husbands, stepchildren, or the emergence of estranged family members may result in dispute over wills and valuable art and collectibles. The third scenario that might occur is the heir accepts the gift but does not know the full capacity at which the collection needs care. A recent New York Times article tells the story of a man who was bestowed a large collection of drawings from his grandfather. The collection included over 10,000 drawings that needed a place to be stored and/or exhibited and because he accepted the gift, he accepted responsibility to ensure its care and survival. There are also considerations to make when gifting your collection to an institution. Collectors may envision their art objects in a small or large museum, a university collection, perhaps an alma mater, or maybe a library. You may assume that all museums would want to acquire your carefully collected art objects into their collection. However, museums often have specialized collection goals and may not always want to acquire new objects—or simply do not have the means or capacity to care for certain objects. Additionally, museums may be taking on legal title risks when accepting objects into the collection. Donors are often required to sign a legal warranty of title that states that they have clear title to the objects and that the objects are free from any liens. Even with this signed document, museums take on the risk of unknown legal matters that may arise after the acquisition. Karen McWhorter, curator of Western American Art at the Whitney Western Art Museum in Cody, Wyoming advises that "to find the most appropriate and appreciative home for their work of art or object, collectors should consider conducting some research ahead of proposing a gift." Does the museum to which they’re considering donating have a collections management policy which outlines its goals for the presentation of art? If not easily available online, a collector might contact the museum’s curator(s) to discuss the institution’s vision. What are the collection’s strengths and weaknesses? How might the donated object bolster or complement existing collections? How would the curator display the donated object? Karen also asserts that, "the process of reviewing and accessioning a proposed gift might require patience. 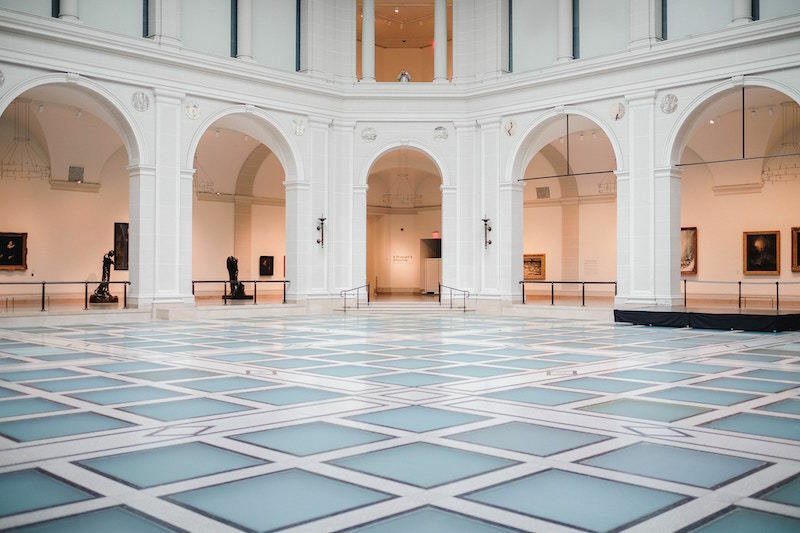 Curators and other collections stewards must carefully weigh many factors when deciding upon accepting a gift, and usually must convene colleagues, museum management, and board members to lend their opinions, too." Selling your art collection is an option during your lifetime. Selling the collection through an auction house or a gallery is an option to disperse the collection prior to death. Collectors can start a discussion with an auction house to find out if the objects can be included in an upcoming auction. The auction house's terms and conditions and fees should be carefully reviewed. Auction houses take about 15% commission from the sales price. Galleries sometimes take works on consignment and will take a cut of the sale price. Art dealers purchase and sell art and sometimes operate as a gallery or as an art advisor. An easy way to look for a gallery or dealer that specializes in an artist is to use the "Artists" section of artnet. The "Artist" section includes a "Dealer" tab that lists dealers and galleries all over the world that work with that artist. Regardless of what the collector wishes of the fate of their collection, all related documentation should be compiled including bills of sale and known provenance. All data can be input into Artwork Archive's database and with clear instructions for the future caretaker. Start recording key details to preserve the future of your art collection with Artwork Archive. Understand your options: Learn how to find the right gallery or auction house to sell a piece, or parts, of your art collection.